PowerSuccess from PowerObjects is a unique service-as-a-subscription program for small, medium, and corporate-sized organizations that gives you access to a dedicated PowerSuccess Engineer who acts as your single point of contact for all your Dynamics 365 needs. 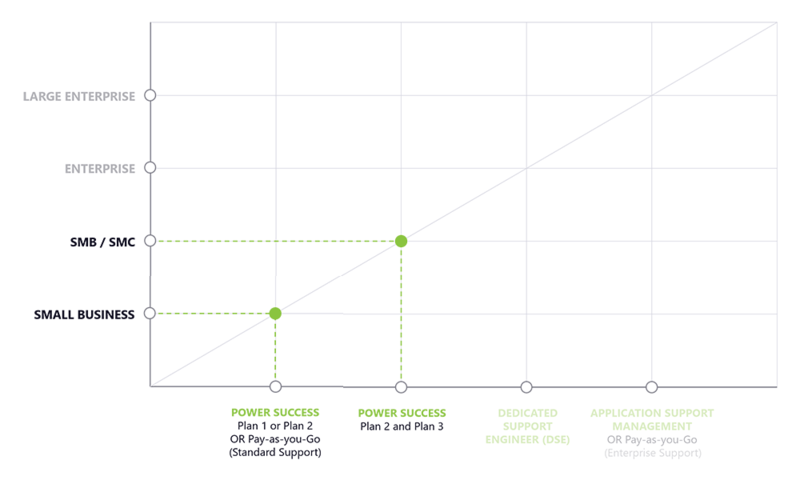 Your PowerSuccess Engineer is backed by a PowerObjects Product Team of four additional engineers to support your Business Application deployments. A dedicated PowerSuccess Engineer acts as your single point of contact for all your Dynamics 365 needs and is backed by a Product Team of four additional system engineers. Shortens the amount of time required to deliver solutions to you. Shrinks any gaps in knowledge of your system. Accelerates response time to changes in your system. Powered by a Product Team comprised of the right engineers to support and understand your system, your organization will experience continuous business value over the lifecycle of your implementation. Ensures delivery of solutions that add the most value. Your product backlog or rank list provides a framework for how your dedicated PowerSuccess Engineer will communicate, organize, and prioritize your Dynamics 365 requests. Sharpens focus on providing solutions that add the most value. Access to Expertise When You Need It: Your ability to freely tap in to your dedicated PowerSuccess Engineer’s expertise eliminates the need for your organization to hire a system administrator. This eliminates hiring, training, ramp-up time, and turnover. Ability to Hit the Ground Running: With a dedicated PowerSuccess Engineer in your corner, your organization will enjoy a faster time-to-value than with more traditional time-and-materials support services. Affordable Pricing: Many organizations see the potential of Dynamics 365 but lack the foresight or resources to build a solid path to success. PowerSuccess provides that solid path for a predictable monthly subscription fee, eliminating surprises. Access to the Full PowerPack Suite: PowerSuccess customers enjoy full and completely free access to all PowerPack Add-ons. These are PowerObjects-built tools that enhance the marketing automation and productivity capabilities of your Dynamics 365 system. An Ongoing Partnership with PowerObjects: Whenever you need help, you know the support you receive is backed by a world-class, award-winning team of engineers who are fanatical about Dynamics 365 and Microsoft Business Applications. Our PowerSuccess Engineer is always extremely helpful and gets back to us very fast! We appreciate him taking the time to understand what we need. 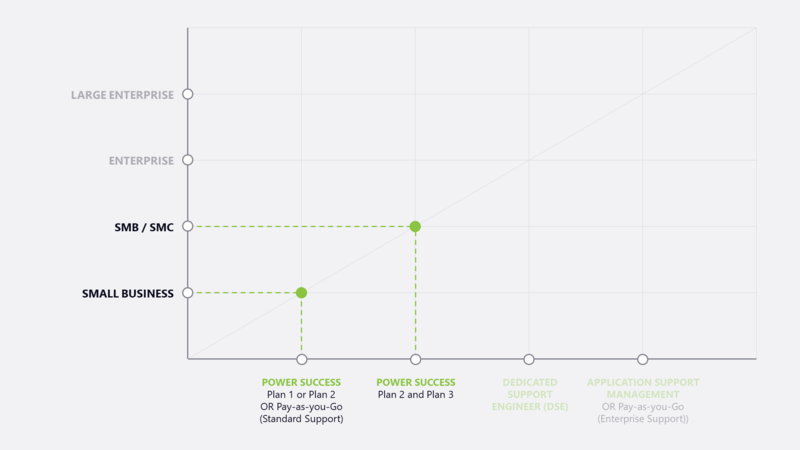 Which PowerSuccess Plan is Right for You? Support is one of our four Pillars of Success at PowerObjects, so of course we offer several different support options. Please review the checklist below to determine if PowerSuccess is right for your organization. If PowerSuccess is the right option for your organization, the next step is to determine the Plan that suits you best. The table below shows the features and benefits of each of our three PowerSuccess Plans. PowerObjects can build for your organization a powerful business application – with up to five configured screens – that allows you to surface and process information in the way that best suits your business. Let your Product team configure a robust Power BI dashboard to provide real-time insight into your organization’s data. Power BI offers a streamlined way to interact with data from one view within Dynamics 365 Online or from any device. 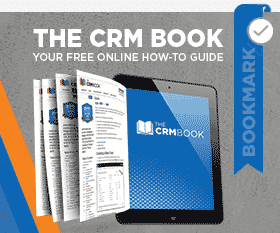 Improve your customer service experience with CRM portals for Dynamics 365. Configure up to five entities or browsable pages to connect to your customer self-service, employee self-service, or partner portal. Leverage your product team to create a custom report for up to two entities with as many as 50 fields. Custom plugins extend the CRM functionality within your Dynamics 365 system. Perhaps you would benefit from a plugin that pulls data from related entities to calculate a total value, or maybe your organization needs a plugin that generates a PDF and email attachment when a workflow is activated – whatever you need, we can build it. Note that we focus only on plugins that work within Dynamics 365. We do not develop plugins that connect to external or third-party data sources. PowerObjects’ partnership with Owl Rock focused on combining Dynamics 365 for Customer Engagement with PowerSuccess, Power BI, and PowerPack Add-ons. Red Door Company uses Microsoft Dynamics CRM and PowerPack add-ons to ensure responsive customer service. The American Birkebeiner Ski Race Blazes New Technology Trails in Customer Service, Engagement, and Marketing. Ready to get Started with PowerSuccess?